A few short days after Simone Biles found historic success at the World Gymnastics Championships, the United States Olympic Committee announced this afternoon that it was in the process of revoking USA Gymnastics’ status as a national governing body. The revocation isn’t official though and will take time, the USOC’s statement said. The official process, as outlined in the USOC bylaws, doesn’t guarantee decertification. In an open letter to USAG’s members, USOC CEO Sarah Hirshland explained a bit about why they’d taken such a big step. “The short answer is that we believe the challenges facing the organization are simply more than it is capable of overcoming in its current form. 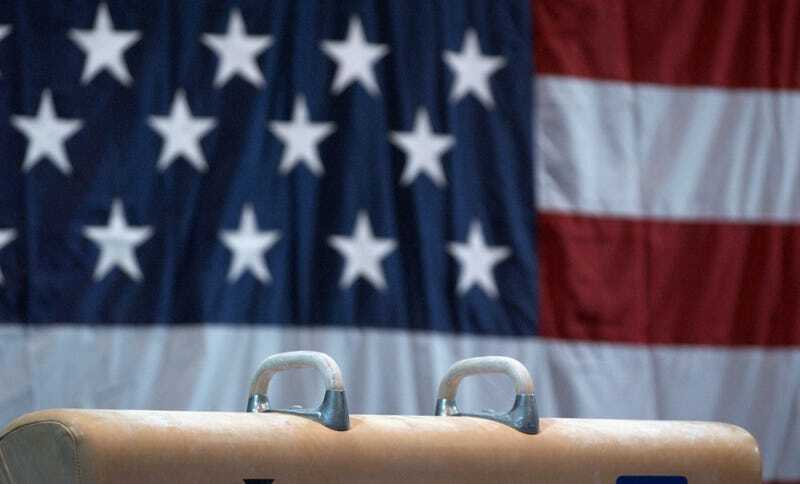 We have worked closely with the new USAG board over recent months to support them, but despite diligent effort, the NGB continues to struggle,” she wrote. USAG has had a tumultuous year, as the fallout from the Larry Nassar scandal continues. In the past few months alone, former USAG CEO Steve Penny was arrested for alleged evidence tampering, Mary Bono stepped down after five days in that same role after a gross Colin Kaepernick tweet, and Kerry Perry also vacated the CEO job after hiring a Nassar defender.